Vietnamese architecture is known for its modest and practical stilt architecture. 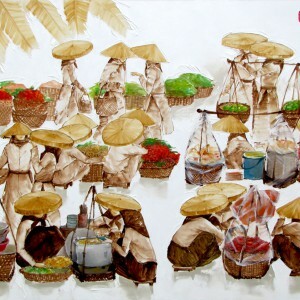 Contemporary Asian artist Luong Dung glorifies this ancient tradition in this oil on canvas. 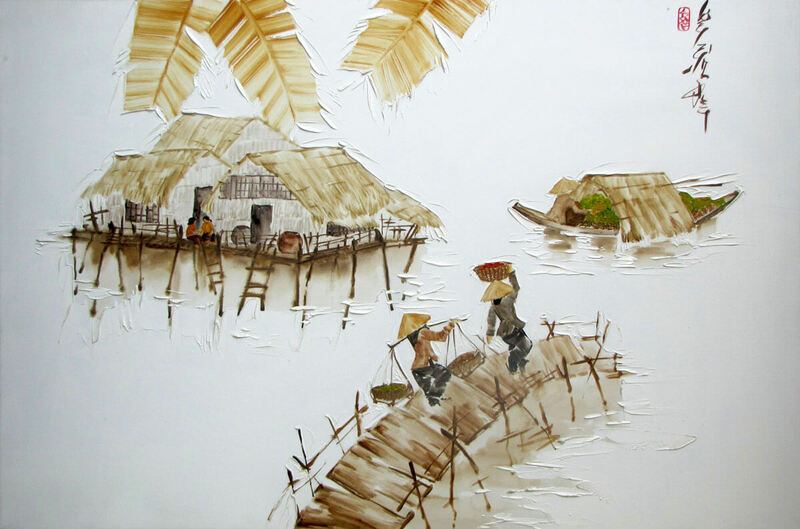 Houses on Stilts, is an original landscape painting rendered in his characteristic browns and off-white palette with a sparse and balanced composition. This is a stylistic piece that is very eye-catching.